Back in early August, Rockstar released the first of its official gameplay videos featuring Red Dead Redemption 2. 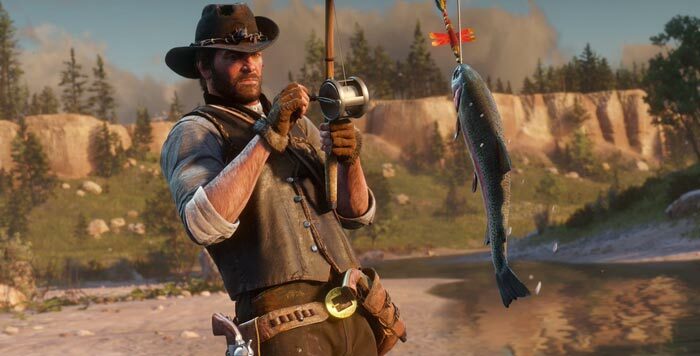 A few hours ago it released another 4-minute helping, showing off the open world and further gameplay and adventure possibilities open to those taking the role of main character Arthur Morgan. The new video starts with Arthur brawling on a train and the scene quickly progresses to that iconic action cliché where a protagonist runs across the tops of carriages, jumping each one, even as the train passes over a tall bridge - gasp. Then we are reminded that the big open world available to gamers has many options for things to do, and discoverability of activities, missions and so on - but even if you take the scenic route you will be under the constant threat of danger. There are lots of western cowboy movie style activities to keep you busy. For example you can rob a train or stagecoach with your friends in the Van der Linde Gang, rob banks and stores, or even go loan-sharking. In your journeys in the gang or alone you will meet many a rival gang, lots of characters, all different - and potentially deadly. There are bounties too - you might get a bounty on your head and have to avoid being killed or captured, or alternatively take the path of the bounty hunter. So, as you see, your actions have consequences in the game and other characters will remember your past actions and judge you by them. A particularly interesting reveal in this video is of the "new and expanded" Dead Eye system. This 'bullet time' effect of slowing down time allows Arthur an advantageous window of opportunity to line up his shots and x-ray vision to target vulnerable body parts etc. Your weapons will require maintenance to keep their intended performance and further to this you can implement weapon mods to improve recoil, accuracy, and range. 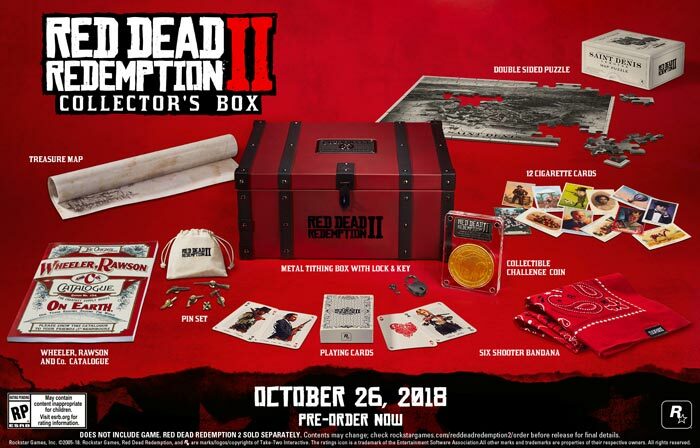 Red Dead Redemption 2 is released on PlayStation 4 and Xbox One on 26th October. It is already features in some upcoming PS4 bundles. Whether it will arrive on PC in coming months is a question many would like answered. Unless this comes to PC, I couldn't care less about it! I'm still a bit angry about the first game not making it to the PC. Unless this comes to PC, I couldn't care less about it! Yes you could. To demonstrate less care all you have to do is not comment about it at all. No need to be pedantic.